Our Spanish Artisan Wine &amp; Spirits Group of artisan producers are a result of a long-time painstaking effort to find authentic and original wines that truly represent the unique places from which they come. Our producers are not making wines that "the market is asking for," nor wines that are made to please the palate of any critic in particular and certainly not the Parkerista-style overoaked, high alcohol palate. The wines of The Spanish Artisan Wine and Spirits Group – Gerry Dawes Selections are made by people trying to reflect the own terruño (the French call it terroir), a sense of place: the unique combination of native grape varieties, soil (minerals) and climate transmitted through the grapes and the prism of each winemaker's palate. Before wines began to be fabricated or fashioned to fit that supposed "what the market is asking for" profile, the wines of France and Italy, but also in some parts of Spain, were made primarily by artisan winemakers working with their own vines. Obviously, in every region more commercial, negociant-style wines were made to hit a price point and fulfill a market need for cheaper Burgundy, Chianti, Rioja, Mosel, etc., but the reputation of the wines was made originally from the wines of quality artisan producers. In the early days of the modern post-Prohibition wine importing era, Frank Schoonmaker set standards for selecting wines that would become the model for the next several decades. "It was obvious to Schoonmaker that prohibition would someday be repealed; the question was when. First, he needed a network of suppliers. 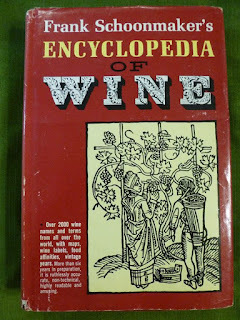 In France, by the late 1920s he had made a valuable ally in Raymond Baudoin, editor of La Revue du Vin de France in Paris. Baudoin had shaped this scholarly publication into an influential review, which eventually played a major role in creating the appellation contrôlée laws of 1935-36. Schoonmaker traveled around France with Baudoin several times, and visited many winegrowers, particularly in Burgundy’s Côte d’Or. Baudoin introduced him to some of the best, and Schoonmaker soon followed Baudoin’s lead in selecting only certain lots, or casks, of a particular cru in a given vintage – writing everything down methodically in a little black notebook. In addition, Baudoin was emphatic in getting the growers to bottle their wine themselves and sell it under their own label, as opposed to the traditional method of selling it in cask to the shippers in Beaune for blending, under their label." 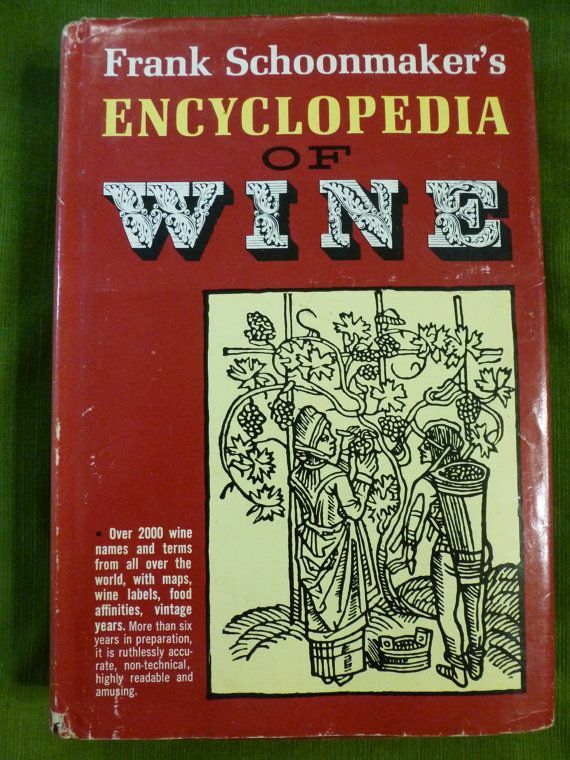 -- Frank Schoonmaker, A Visionary Wine Man by Frank E. Johnson, Frank Johnson Selections. 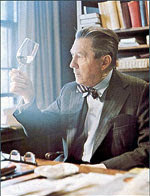 Schoonmaker's style would prove to be the model followed by other French wine specialists such as Alexis Lichine (who began selling wine for Schoonmaker), Colonel Frederick Wildman, Robert Haas, Gerald Asher (an Englishman who began importing his wines into the U. S. and like Schoonmaker and Lichine became well-known as a wine writer) and Henry Cavalier (another transplanted Englishman, who was one of Asher's star disciples). 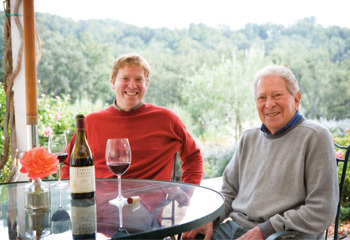 Asher's well-crafted and beautifully written Gourmet magazine articles were a benchmark for more than a decade for serious wine writers and for wine aficionados. The Spanish Artisan Wine Group - Gerry Dawes Selections was founded on the principles of the aforementioned pioneer wine importers. I never knew Frank Schoonmaker, but I always admired the fact that he greatly appreciated the wines of Spain (he spent several years in Spain during WWII as an undercover O. S. S. officer; ironically decades later I would be assigned to Rota, Spain as a Russian linguist with a Top Secret security clearance [tracking the Russian fleet in the Mediterranean]). Schoonmaker died in January 1976 at his home at 14 E. 69th St. in New York City, shortly after I arrived in New York City after having lived in Spain for the previous eight years. Another irony, a few months after Schoonmaker died, I went to work for another of the giants of wine importing in America, Frederick Wildman &amp; Sons at 21 E. 69th St., just down the street from Schoonmaker’s home. And at Wildman, I worked with Henry Cavalier, the exceptionally knowledgeable Gerald Asher disciple who soon became a friend and taught me a lot about fine wine. 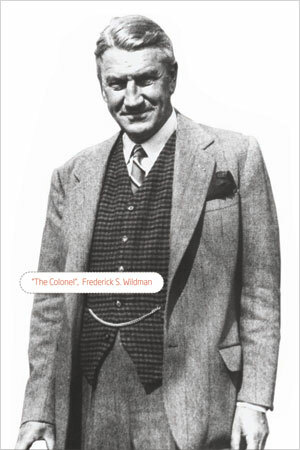 My employment at Frederick Wildman & Sons ended when I left to join the former President of that firm, Anthony J. Sargeant, and Paul Draper of Ridge Vineyards in launching Havelock Gordon. That company was short-lived, so I moved on to Mosswood, whose president was Gerald Asher, then I did a decade long stint as a restaurant wine specialist at the then fledgling company, Winebow, one of whose partners was Vineyard Brands owner Robert Haas, who was originally a Frank Schoonmaker disciple himself. While I was at Winebow, Haas made me a Vineyard Brands Vice President, his representative inside that company. 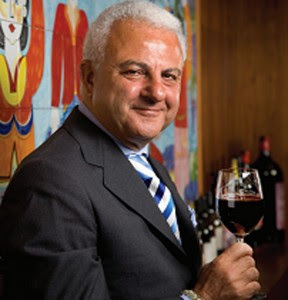 For more than 10 years, I also worked with Leonardo LoCascio, who founded Winebow with Peter Matt and became one of the best-known names for quality Italian wines. I helped establish Winebow as a force in top New York restaurants. I was Winebow's top restaurant sales consultant, selling $1,500,000 per year to sixty top restaurant accounts, at a time when wines sold for about 25% of their current prices. After Winebow, I spent a brief period with another New York distributor, then left that position to pursue my career as a writer on Spanish gastronomy, wine and travel. Leonardo LoCascio, Co-Founder, Winebow, Inc.
During my time at Winebow, in 1989, I founded The Chefs From Hell Acrobatic Unicyclists &amp; Winetasters Club, whose members included Thomas Keller, Tom Colicchio, Michael Lomonaco, Rick Moonen, David Burke, Bobby Flay, Martha Stewart, Andy Pforzheimer, Mario Batali, Tom Valenti and a number of other talented and now well-known chefs. 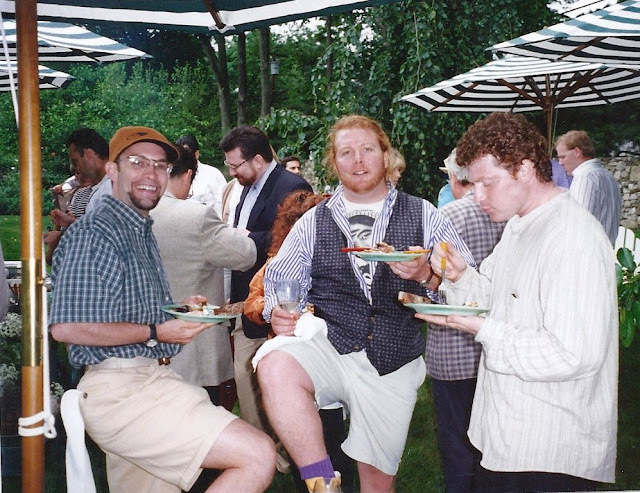 Chefs Quint Smith, Mario Batali and Bobby Flay at a Chefs From Hell Luncheon at Martha Stewart's home in Westport, CT.
Like Schoonmaker, Asher (and my friend Frank Johnson), I am a wine writer. Using my intimate knowledge of Spain, I specialized in writing about Spanish wines. During the course of traveling for material for articles, also discovered more that a score of small wine producers who were not only not being imported into the U. S., they were not even known in Madrid. In 2012, quite by chance, I found an interested party with an import license and I decided to bring some of these jewels to the United States. I brought in two containers of selected wine to unprecedented critical acclaim. Unfortunately, the partner proved unsuited to growing a fine wine company, so we parted ways after a year. 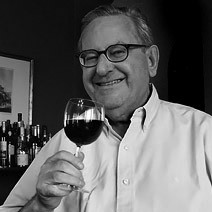 The style as defined by Frank Schoonmaker, Frederick Wildman, Robert Haas, Gerald Asher and Henry Cavalier (and subsequently by importers such as Kermit Lynch and Neal Rosenthal) over decades was to go to a wine producing region, seek out the best producers available from that region, many of which were small production jewels, bring them to market in the United States and tell their customers why each wine producer and wine was special. Except for a few wines that they imported for volume sales (very dignified wines such as Robert Haas Vineyard Brands La Vielle Ferme Rhône Valley wines from the Perrin family of Château de Beaucastel fame and even then the interventionism was minimal), they did not encourage their producers to make the the hyper-commercial types of wines "that the market is asking for." Instead, they represented unique producers making the best wines that their grapes, their land, their wine cellars and their palates could produce and those discerning importers brought the producers' wines and their stories to market. Those ideals are what The Spanish Artisan Wine and Spirits Group - Gerry Dawes Selections hopes to carry forward with these exceptional artisan producer wines from Spain. And, given the interest in all things Spanish in the culinary world these days, we are using the same sourcing principles for our unique artisan spirits collection, we are planning to introduce in September 2016. I have been steadily developing a stellar lineup of suppliers of unique Spanish spirits for more than two years now. This spirits and licores include a Vermouth from Burgos made from a 1912 recipe, a stellar gin made in Galicia and distilled from albariño grapes; from the same albariño grape distillations, some stellar aguardientes (grappa), a crema de café licor, chocolate with cherry licor and a superb cilantro-flavored liqueur; a cream licor from Catalunya that could be the Spanish equivalent of Bailey’s Irish Cream; exceptional licor de naranja and a licor de limón, plus an orange cream licor from a producer in Valencia; a selection of high quality eau-de-vie type spirits from the top producer of cherries and other top quality fruit such as plums, raspberries, etc. in Extremadura; Patxarán (sloe-berry infused anís) de Navarra is one of the most famous and sought after spirits in Spain; aguardiente de manzana (apple grappa) and the Calvados-like Aguardiente Viejo de Sidra from Asturias; a Sherry Brandy de Jerez from Sanlúcar de Barrameda; and a line of artisan licores from one of the top chocolatiers and desserts chefs in Spain. Gerry Dawes with owner-producer Eugenio Merino on a cold January morning in the old vines Cigales vineyards that produce one of Spain's finest rosados, Viña Catajarros Elite Rosado. Photo by John Sconzo. Dawes was awarded Spain's prestigious Premio Nacional de Gastronomía (National Gastronomy Award) in 2003. He writes and speaks frequently on Spanish wine and gastronomy and leads gastronomy, wine and cultural tours to Spain. 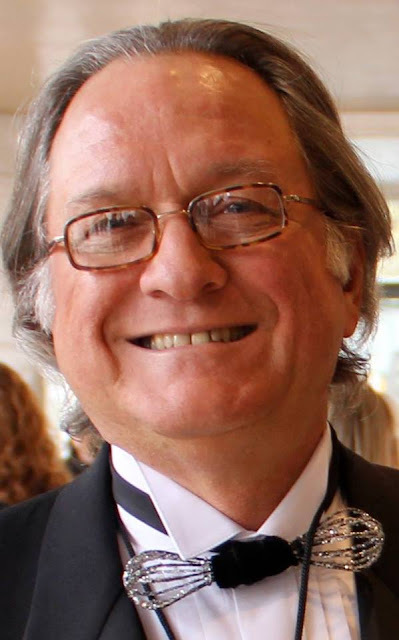 He was a finalist for the 2001 James Beard Foundation's Journalism Award for Best Magazine Writing on Wine, won The Cava Institute's First Prize for Journalism for his article on cava in 2004, was awarded the CineGourLand “Cinéfilos y Gourmets” (Cinephiles &amp; Gourmets) prize in 2009 in Getxo (Vizcaya) and received the 2009 Association of Food Journalists Second Prize for Best Food Feature in a Magazine for his Food Arts article, a retrospective piece about Catalan star chef, Ferran Adrià. In December, 2009, Dawes was awarded the Food Arts Silver Spoon Award in a profile written by José Andrés. ". . .That we were the first to introduce American readers to Ferran Adrià in 1997 and have ever since continued to bring you a blow-by-blow narrative of Spain's riveting ferment is chiefly due to our Spanish correspondent, Gerry "Mr. Spain" Dawes, the messianic wine and food journalist raised in Southern Illinois and possessor of a self-accumulated doctorate in the Spanish table. Gerry once again brings us up to the very minute. . ." - - Michael &amp; Ariane Batterberry, Editor-in-Chief/Publisher and Founding Editor/Publisher, Food Arts, October 2009.